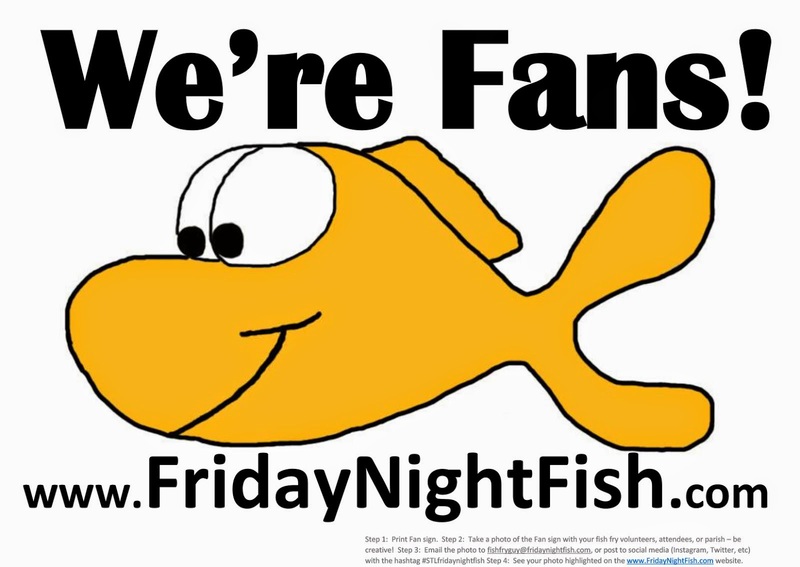 (1 out of 4 Fishes) Unless you knew about the fish fry, there were no signs to direct you. Pay first with a slip given for order. No wait while we were there, but we were early during Ash Wednesday service. Plastic plates, silverware, and bags of condiments. Still no signage, recycling, and lots of styrofoam. You pay first and they fill out your order slip. One highlight is that they then bring your food to your table. Upgrade over previous years. Cod was battered and very good. Kids' catfish nuggets had a nice breading and may have been better than the cod. Sides were mac and chees, cole slaw, green beans, and bread. Shrimp and Jack Salmon were the other choices. Mac and cheese was pretty rich, but could have had more kick. Desserts were store bought. A decline from our last visit. Cod was pre-breaded fish triangles. Desserts were all store bought. Kids choice was pizza, which my daughter said was good (I think Papa Johns). $8 for adult plates. $5 kid versions with 1 side. Two good size pieces of cod, but only coffee included. No tea. Bottled water $1, beer $2, wine $4, and desserts $1. 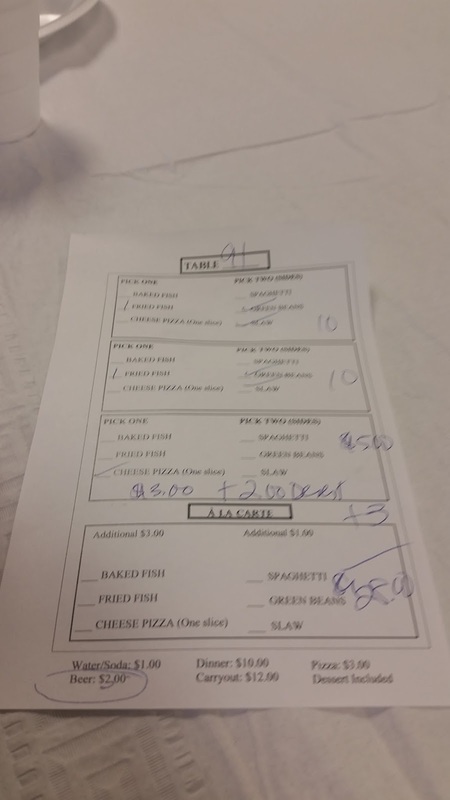 Typical pricing for fish fries. 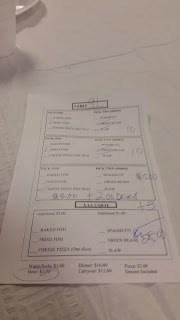 $10 for adult plates which included dessert, $3 for pizza slice. No tea or lemonade choices. Extra $2 for takeout however - so takeout price is $12 for adult plates. Cozy cafeteria with rectangular tables of six chairs. Kids were selling raffle tickets and performing some plate clearing. An older, quieter crowd. In past years, you never knew if the Archbishop might be sitting behind you, so everyone tends to be on their best behavior. We were there early, right at 5:00pm, so a small crowd. Usually a big rush after 5:30 Ash Wednesday mass. Highlight is all the student volunteers helping with the fish fry. They did a great job delivering and clearing plates. 3 out of 4. Kids were heavily involved trying to raise money to save the parish school (selling raffle tickets, etc. 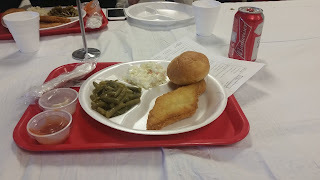 ), so there was a strong sense of generosity to want to like the fish fry. Overall, a good start to the fish fry season. More like a 2.5 out of 4. Cathedral Parish only has one fish fry a year (on Ash Wednesday), so their specialty is not frying fish. So don't go expecting top notch Cod, but it is a chance to go to Ash Wednesday mass in the beautiful Cathedral and then sticking around for dinner. We saw the Archbishop in the parking lot on the way in. 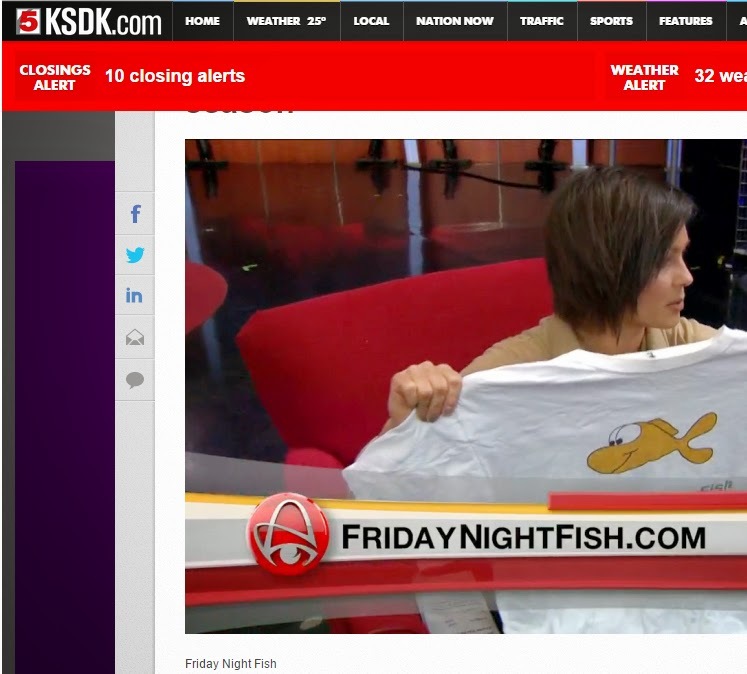 Didn't get a chance to ask him about his favorite fish fry blog or why St. Louis Review never covers Friday Night Fish. Big highlight of the fish fry is the student volunteers that help with the fish fry. 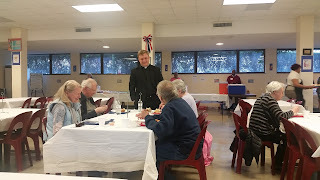 It's always rewarding to see students get involved with parish events and building a sense of community. In that respect, the fish fry does great! Great job!